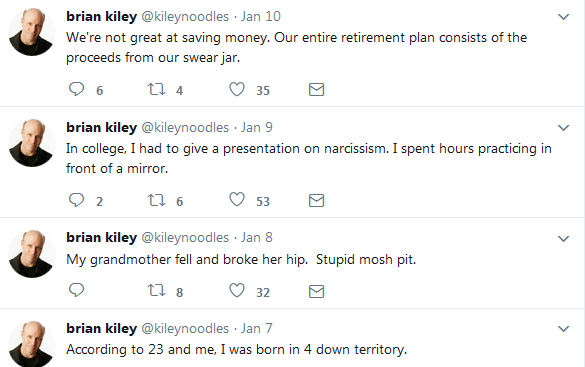 Brian Kiley has been a staff writer for Conan O’Brien for 23 years. He’s been nominated for 16 Emmy Awards (He won in 2007) He’s appeared 7 times on the David Letterman show, 12 times on Late Night with Conan and 4 times on the Tonight Show. He has his own Comedy Central half-hour special. His jokes have been featured in Reader’s Digest, Prevention Magazine, GQ and the New York Times Sunday Crossword Puzzle.